Photo from Nov. 23, 2009. She told me my husband and I are generous. Yet she is the one carrying the life of our daughter. We’d been to two ultrasound appointments and the attorney’s office together. I’d taken her to another unrelated appointment and the pharmacy. And this day we were returning from her meeting with the social worker. With my 5-year-old boy and her 1-year-old boy strapped in their seats behind us, Stacy and I sat in my mini van outside her apartment and talked about this adoption. She was 26 weeks pregnant and relieved to have a plan. We talked about postpartum counseling and resources to help her mother well the two children she already has. “You all are so generous to me,” she said. I keep thinking about her words. I’m not new to adoption, but Stacy’s simple comment shed new light on my relationship with her as a birth mom. I’ve been blessed to have relationships with two other birth moms, but all of their stories have been different. They were each in different places in life and our connections were unique. So, sure, we’re helping her. We’re adopting this child for whom she doesn’t believe she can care given her circumstances. We’ve got medical and legal expenses covered and we’ve put some minutes on her cell phone. I’ve picked her up for appointments. But in terms of money, that’s not really very much. I know Stacy wasn’t measuring our generosity in dollars and cents. Still, I’ve been realizing lately in a new way that adoption works because of how it blesses everyone involved. Yes, this is emotional for Stacy. Grief comes with making an adoption plan. But she’s also relieved and adoption brings purpose to her situation. For us, we’ve believed for years we were supposed to be a family of five. And even before that, I thought Ben had a middle-child personality. We’re ready to expand our family. Relationships with birth moms are different than any other relationships I’ve experienced. In 2007, 2009, and now 2015, I’ve bonded quickly with these women I wouldn’t otherwise know. That’s what happens when everyone is invested in the same growing life and gathers in exam rooms. We’ve gotten to know each other on a level that makes us proud to tell our children about their beginnings and given these women peace about their plans for adoption. Then after the birth, the relationship changes – at least that’s been our experiences. Our adoptions are open in the sense that the birth moms know our names and have our contact information. We send updates about the kids. Cate has even gotten a chance to meet her birth mom a couple of times. But after the baby is born and final papers signed, we all settle back into our lives. The conversations between us are fewer and we aren’t making plans to show up at appointments together. I’m the kind of girl who wants every relationship I’ve ever had to remain. I want to be friends forever with everyone. As I’m growing up, I realize that isn’t how every relationship should be. Adoption magnifies that with its unique relationships, but it also opens the door to a ministry of being able to help someone in a way not otherwise possible. Obviously, all adoptions are different. Another family’s story may not look like ours. But in our experiences, I’m especially grateful for these women and the relationships in which we experience generosity together. #ThreeWordWednesday note :: I'm going to be in Guatemala next week on a mission trip to serve with Bethel Ministries, so I'm going to have a guest hosting the linkup here. I won't be here to visit all the posts, so be sure to encourage each other. And, yes, I'm sure I'll be bringing home stories to share with y'all in the coming weeks. Dear Kristin, such a beautiful experience you have shared today. 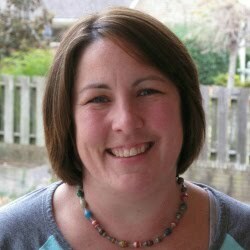 Kristin- I love how when you share your adoption stories, they point directly to the gospel. In the gospel, our unique relationship with God and it opens the door... Thank you for answering God's call for your family. Your testimony is truly a light in a broken world. Beautiful post! Just beautiful Kristin. We are so thankful for our open adoption too. Wish I could be there to take you both out for coffee and hear your hearts in person. Adoption is complicated but these moments are sacred. Kristin, you have shared such beauty today. Yes, the post is about adoption but ultimately, it is about God's love which you are just pouring out into the lives of these moms & their children. May God bless you as your family grows. And have a safe trip to Guatemala. Blessings! Thanks, Joanne! Nothing has demonstrated the gospel more to me than these adoption processes - it's a beautiful parallel to what God has done for us. Thanks for your week comment and encouragement. Oh how I wish that too. Maybe one day ... :) "Adoption is complicated but these moments are sacred." --> This pretty much sums it up. I'm glad you understand. Hi Kristin! How I have missed your words in my time away :). 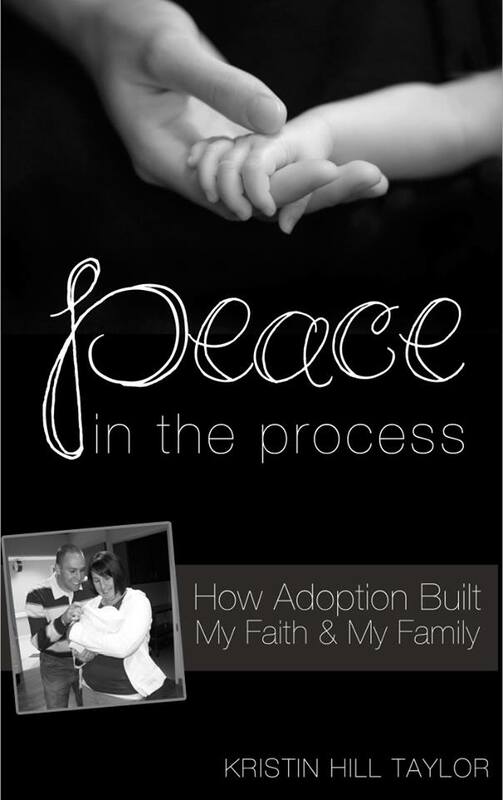 This is a wonderful peek into your adoption story. These relationships you have built with your children's birth mothers are so important. I don't think people always see the incredible generosity of a woman who chooses to give up their child so he or she can have a better life. I personally think that is a beautiful, amazing gift. Have a safe trip, my friend! What a kind comment, Ifeoma. I really appreciate it. Kristin, I love this story; you are building completeness not only for your family, but for the birth mothers and their families as well. I have some friends who were adopted and know nothing about their birth mothers, and even though they thoroughly and completely love their family, this hangs as a kind of emptiness in their lives. What a wonderful demonstration of God's complete love for his children, through your and your children's lives. Have a wonderful holiday weekend. Ah, thanks, Candace! The generosity of birth moms is nearly impossible to fathom, even being in these situations. Thanks, Janet. I know God does equally beautifully work through adoption stories that look totally different, but I'm so grateful for God has chosen to write our story. Kristin, what a beautiful story and one you are living as you write. I have never thought about this type of relational conversation that one adopting would be having with the birth mother. It is so very special and bonds you so much more with this child that will be in your arms soon. Praise God for all His beautiful blessings that surround a bundle. It happened 2000 years ago and is still happening! I appreciate your comment, Linda! The conversations are what I cherish about these relationships. I'm so grateful I get to have them. Thank you for praising God with me. Oh, Kristen - I can clearly see your generosity in these words, in the giving of your time, in the tenderness with which you share this story. But another word came to mind today: courageous. I see it in both you and Stacy and this incredible journey you are traveling together. You are no doubt shining a light into her life through your deeds and words. God is writing an incredible story over your lives and I feel so privileged, even from the outskirts, to be able to share in that. Blessings to you, dear friend. Sending you love today. Thank you for that, Tiffany. I'm so grateful for your comment today. Love right back to you. Thank you, Linda. What a kind comment. I'm glad you're here. Thank you for your kind comment, Tracey! 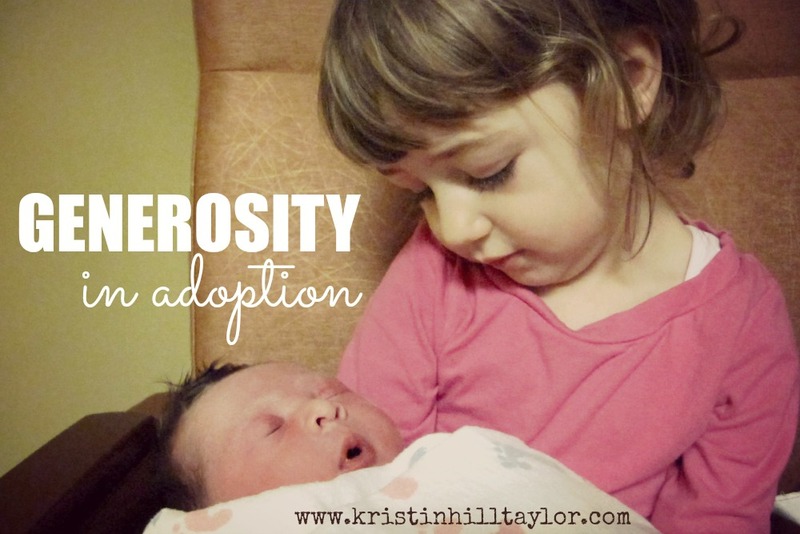 Yes - these adoption relationships are such a reminder of how God is with us. So glad you stopped by!